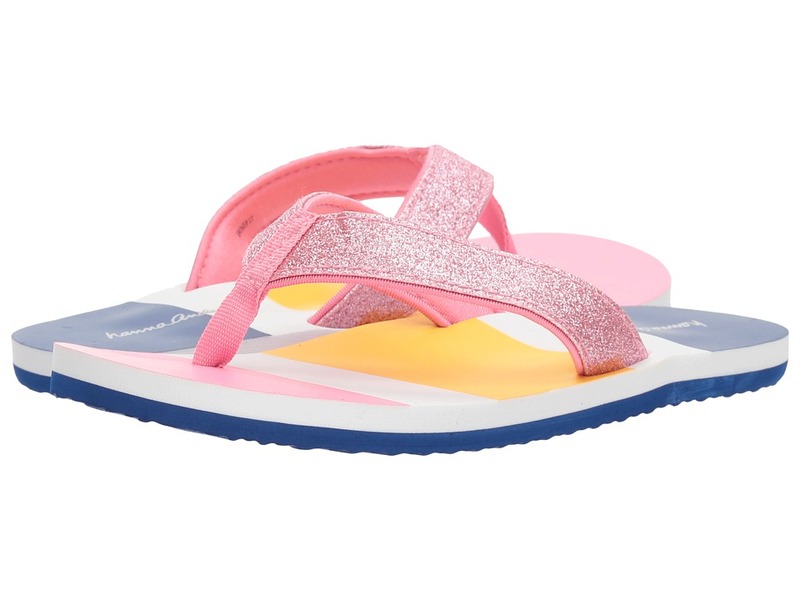 Glitter and gleam all day in Hanna Andersson flip-flops. Lightweight textile upper. Glitter embellished straps. Thong construction for slip-on wear. Cushioned insole. Rubber sole. Imported. Measurements: Weight: 2 oz Product measurements were taken using size 2-3 Little Kid, width M. Please note that measurements may vary by size. Weight of footwear is based on a single item, not a pair.